I have never been a huge fan of pasta salads. I tend to find them a little bland. So when my neighbor, Paula, told me about her oven dried tomato whole wheat pasta salad recipe, I was a little dubious (sorry Paula). But because she is an amazing cook, I decided to be open-minded and give it a try. Somewhere between her house and mine I forgot the exact recipe, so I came up with my own similar version – this Mediterranean pasta salad. It might sound simple, but it is extremely tasty. So tasty, in fact, that I have been making a big batch at the weekends and taking it to work as part of my lunch. The two things I kept from Paula’s original recipe were the oven dried tomatoes and the toasted pine nuts – the two most crucial ingredients if you ask me. 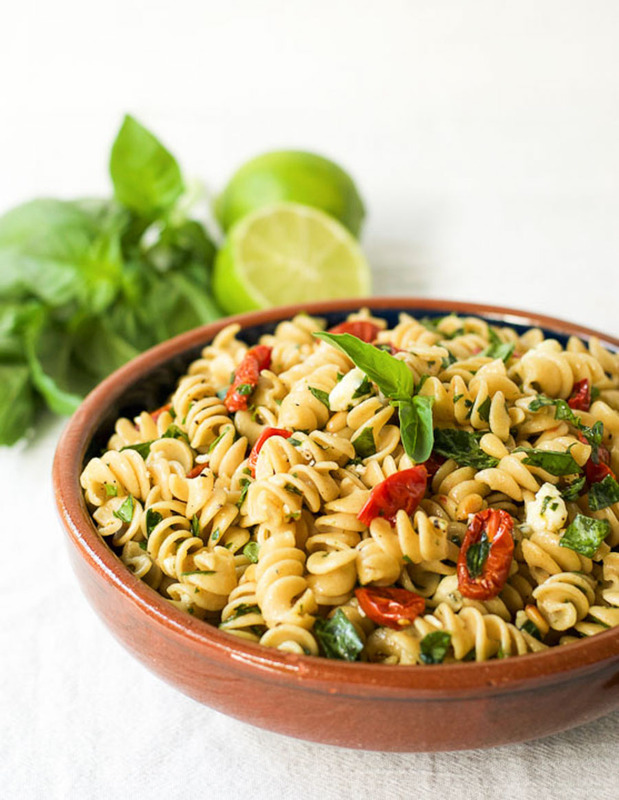 The tomatoes do make this recipe a little more involved than most pasta salad recipes, but they are seriously delicious and well worth the extra time and effort. You simply chop the tomatoes in half, place them face up on a baking tray, put them in the oven at 300F (150C) for 1.5 hrs and, Bob’s your uncle, you have sweet, delicious oven dried tomatoes. To store, simply put them in a jar with a few cloves of garlic and cover them with olive oil. 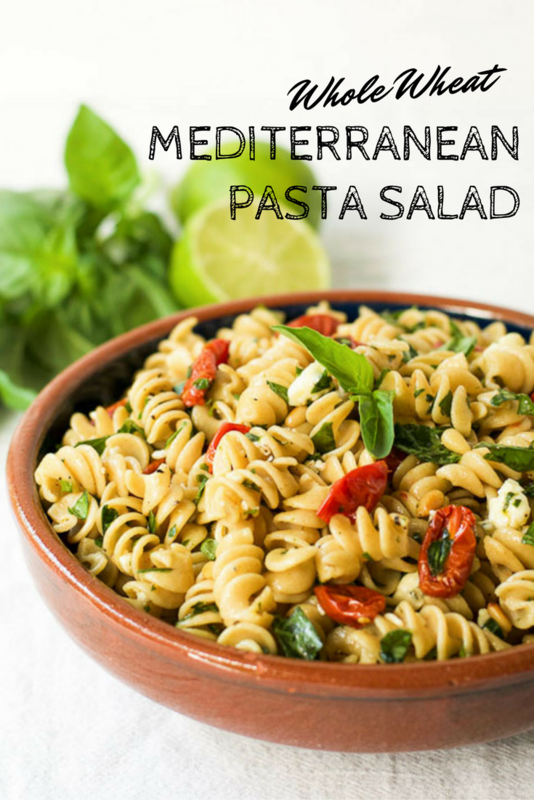 Or use them right away in this wonderful Mediterranean pasta salad recipe. Cut the tomatoes in half, place cut side up on a baking tray, and put in the oven for 90 minutes. Meanwhile, cook the pasta according to the instructions on the packet. Drain the pasta and let it cool. Wash and chop the basil and put to one side. 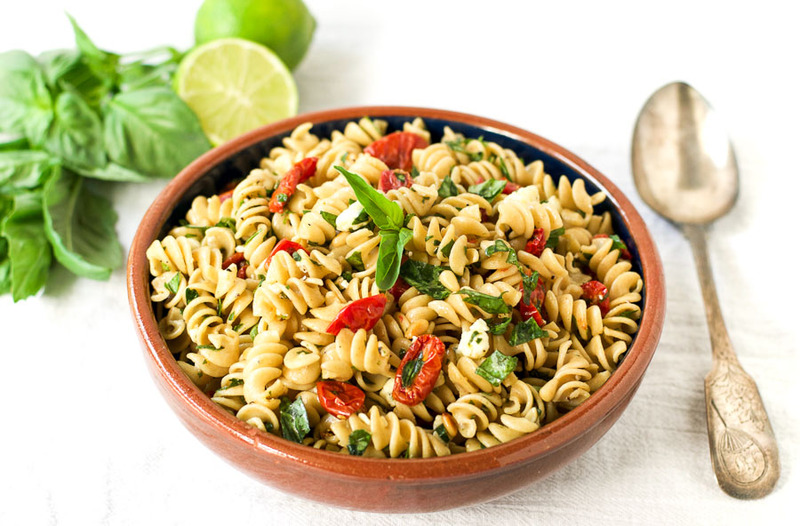 Once the tomatoes are cooked put them in a large bowl with the pasta, olive oil, basil, gorgonzola, pine nuts, and salt and pepper to taste. Stir well. Can be stored in an airtight container in the fridge for up to one week. 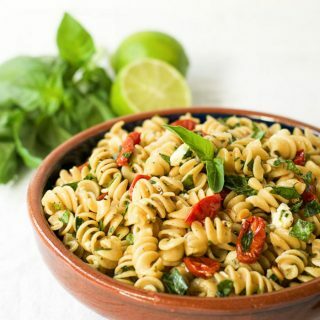 I love this very healthy pasta and the Mediterranean flavor!